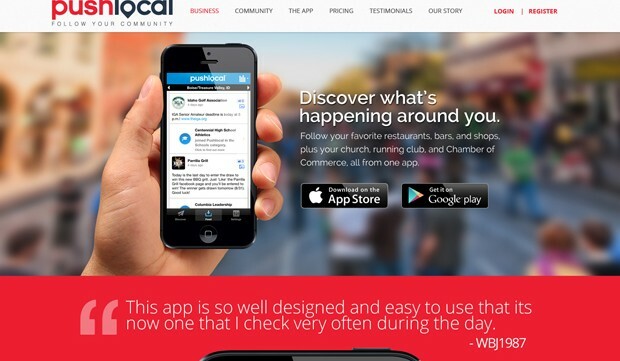 This landing page design is for PushLocal which is an app that allows you to follow your favorite restaurants, bars, or just about any other type of business. This App Landing Page Website Design offers a clear on page layout that provides details about the application along with appropriate calls to action. The website design makes use of a large format that fills the screen with the relevant details. Is your website tired and dated? Check out some of our recent work of Website Design work. If you are looking to start your own App Website Design, then just contact us to Start A Website Design today!